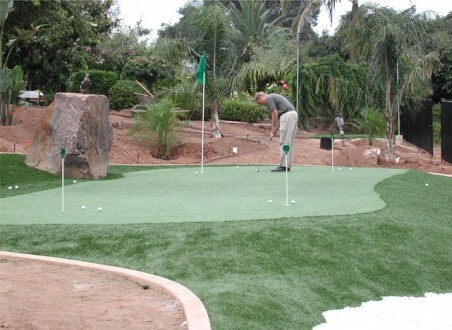 Golf Green offers superior stamina and is the best synthetic turf for golf applications including putting greens mini golf, golf mats, driving ranges, batting cages, bocce ball courts, and more. Available in both a spring green or an olive green color option, Golf Green is a short, durable nylon product with a non-perforated rubber backing specifically designed for all variety of putting greens and related applications. 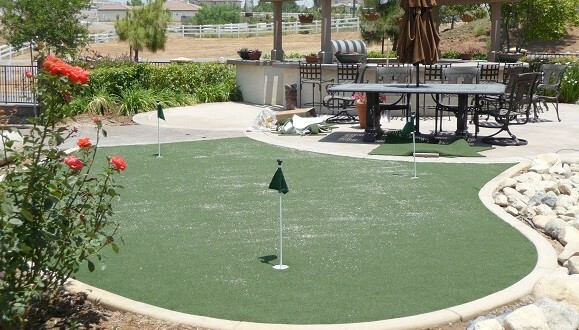 Golf Green will help you improve your game and is the ideal surface to practice your putting on. 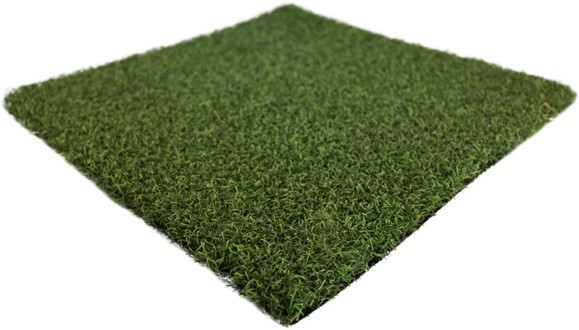 The speed of ball movement and texture can be adjusted by adding sand infill if desired. 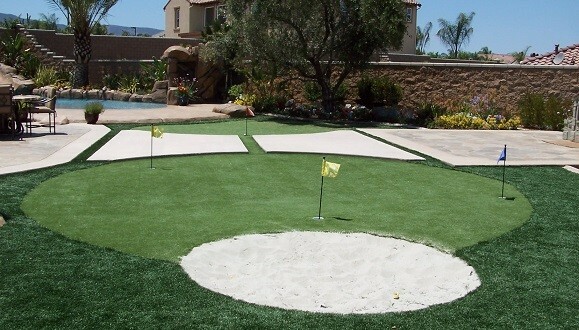 Slopes, mounds, and contours can be easily accommodated. 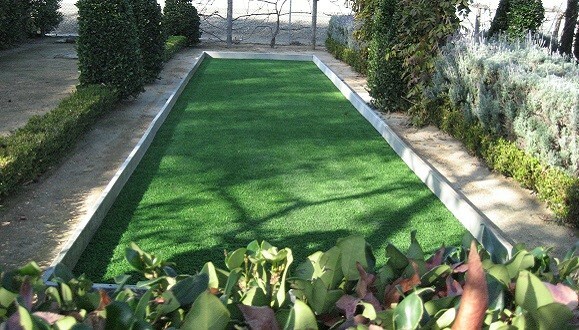 Additional multi-purpose synthetic turf options similar to Golf Green are available with varying yarn types, fiber weights, backing options, and even padding by request for virtually any application.